Summary (from the back of the book): "If you can't be beautiful you should at least be good. People will appreciate that." That's what Jameela's mother, Mor, always told her. But being good isn't always easy, Jameela discovers, especially when the people closest to you suddenly turn against you. Based on a true story, this is a powerful and moving novel about a young girl living in post-Taliban Afghanistan. Review: This small book is so intriguing. Like most of the books I've read about Afghanistan this book sets a sad tone from page one. However, this book manages to make the reader feel like there is hope for Jameela; that she is going to make something of herself in Kabul. Jameela's life is one that reflects themes that I have noticed in other books about Afghanistan: deference to to elders even if they are in the wrong; women covering at different levels; and families giving up children in order to better survive. All three of these are so devastating to a person's psyche and Jameela experiences all three in Wanting Mor. She puts up with a number of "step mothers" who make her do all the household work while everyone else seems to relax. She does the chores with ease and grace under pressure. Jameela has a cleft pallet and chooses to wear a headscarf that covers her head and the lower part of her face. 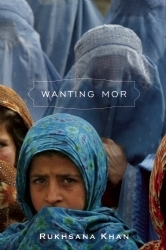 As the book progresses she chooses to wear the burqa as women around her wear less and less in post-Taliban Kabul. The part that was most difficult for me to get my head around, not because it wasn't realistic, but because it is so beyond my scope of reality is Jameela being abandoned by her father. How can a parent abandon their child? This book reads easily and is really interesting both culturally and as a storyline. 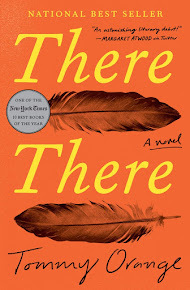 If you are interested in reading a book with a poignant story that is culturally interesting, this is definitely a good one. This one sounds amazing - I did hear about it once before, I need to bump it up my TBR.